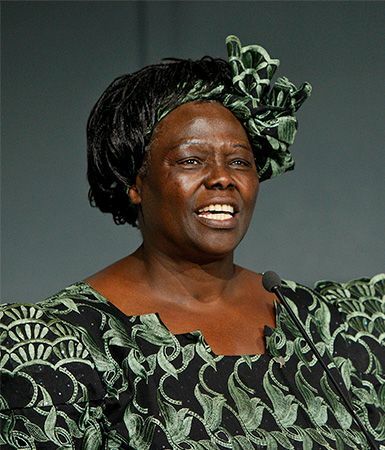 Wangari Maathai, in full Wangari Muta Maathai, (born April 1, 1940, Nyeri, Kenya—died September 25, 2011, Nairobi), Kenyan politician and environmental activist who was awarded the 2004 Nobel Prize for Peace, becoming the first black African woman to win a Nobel Prize. Her work was often considered both unwelcome and subversive in her own country, where her outspokenness constituted stepping far outside traditional gender roles. 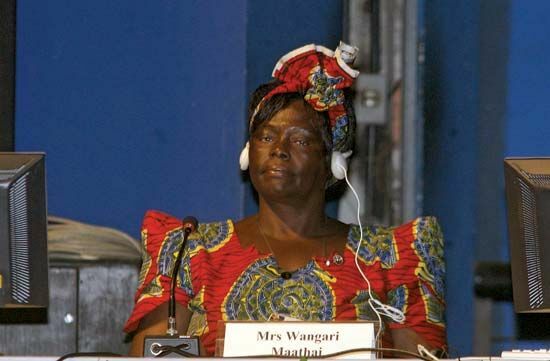 In addition to her conservation work, Maathai was also an advocate for human rights, AIDSprevention, and women’s issues, and she frequently represented these concerns at meetings of the United Nations General Assembly. 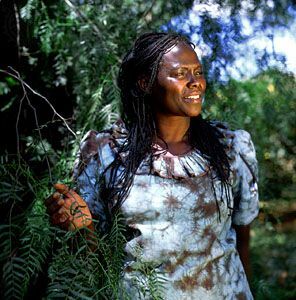 She was elected to Kenya’s National Assembly in 2002 with 98 percent of the vote, and in 2003 she was appointed assistant minister of environment, natural resources, and wildlife. When she won the Nobel Prize in 2004, the committee commended her “holistic approach to sustainable development that embraces democracy, human rights, and women’s rights in particular.” Her first book, The Green Belt Movement: Sharing the Approach and the Experience (1988; rev. ed. 2003), detailed the history of the organization. She published an autobiography, Unbowed, in 2007. Another volume, The Challenge for Africa (2009), criticized Africa’s leadership as ineffectual and urged Africans to try to solve their problems without Western assistance. 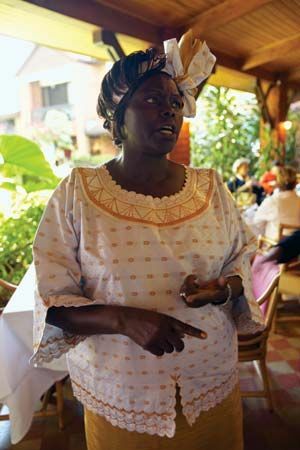 Maathai was a frequent contributor to international publications such as the Los Angeles Times and the Guardian.